Kindle Direct Publishing for Absolute Beginners pulls together all of Sally’s e-publishing experience into one short, concise and easy to follow guide. Starting with the definition of an e-book and deciding what to write, through to running KDP Select promotions – Sally’s advice is sensible, friendly and easy to follow. 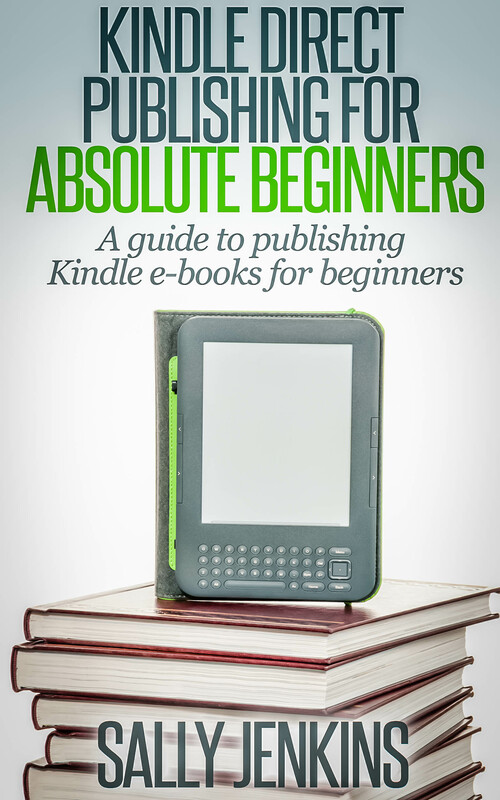 A review of Kindle Direct Publishing for Absolute Beginners appears on ReadersFavorite.com. The novel explores the lengths to which people are prepared go in order to protect those they love and the impossibility of ever fully escaping our past actions. Available in paperback and on Kindle and from the publisher’s website. Also available from iBooks, GooglePlay, Nook and book shops. Why have Ignatius and his girlfriend disappeared from Bedsit 3 in dingy Vesey Villa? Why has he left behind a used pregnancy test and a scrap book about a woman’s suicide in a cardboard box? Every mother tries to do her best for her child. But sometimes that ‘best’ creates a monster. You decide whether the evil within Ignatius is nature or nurture. Available in paperback and on Kindle. Also available on Kobo. This box set contains all 36 stories previously published in Sally’s individual collections (see below), One Day for Me, Old Friends and House Guests. Enjoy tales with a twist, competition-winning prose and gentler slices of life, with a hint of romance. A cornucopia of contemporary short stories about modern life. Enjoy a plethora of twist endings, some humour plus a tiny bit of romance. A great holiday read! Most of these stories have previously appeared in UK magazines such as The Weekly News, My Weekly and The People’s Friend. A couple of the tales have competition credits and there’s also a special guest story by prize-winning author and writing tutor, Iain Pattison! So make yourself a coffee, grab a sweet treat, put your feet up and indulge. 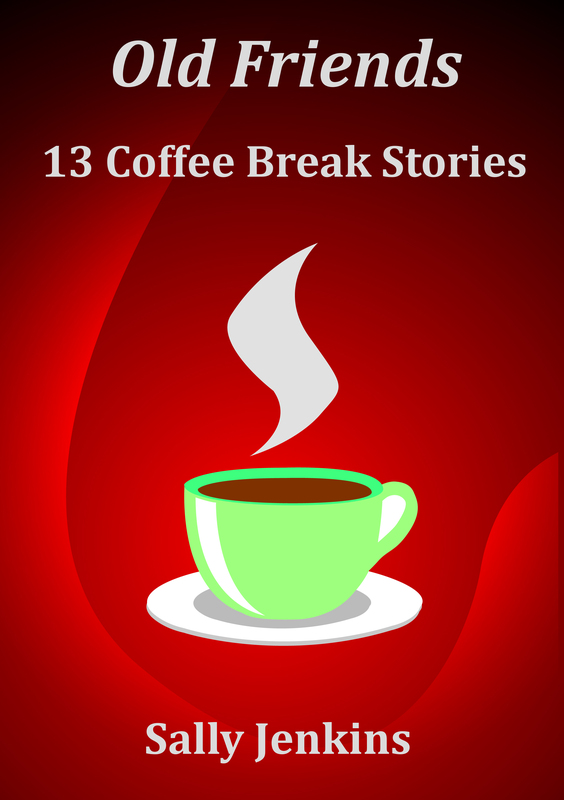 A selection of 13 short stories to make you smile. A touch of luxury to enjoy with your coffee and cake. There are tales with a twist, stories about the ups and downs of family life plus, of course, a little romance. All the stories have previously appeared in UK magazines such as My Weekly, The People’s Friend and The Weekly News. Click HERE to buy through Amazon.UK and HERE to buy through Amazon.COM. Or search for ASIN: B00BJIKIBI on other Amazon sites. Reviews of Old Friends can be viewed on ReadersFavorite.com and ReadReviewed. Reviews of One Day For Me can be viewed on ReadersFavorite.com , on ReadReviewed and OffTheShelfBookPromotions. I just finished reading One Day For Me. It was charming. Thank you for compiling your stories in this great collection. You’ve made my day, Elizabeth! Thank you so much for taking the time to comment and I will be doing another collection soon. Sorry to take so long but I’ve just finished reading your ‘Old Friends’ 13 Coffee Break stories. I thought they were all really good and I thoroughly enjoyed reading them. Thanks, Nancy. I’m so pleased you liked them! I really enjoyed reading your latest book on writing. I wish it was also in paperback so that I could reference it chapter by chapter. It is well written and very informative, especially for a writer embarking on their first attempts at being published. It was easy to follow and I felt you were guiding the reader slowly and confidently through each stage of the writing experience. Thanks for your kind words, Shirley. I’m glad you enjoyed it! Sorry for the delay, Sally, but I’ve just posted a review for you on Amazon under my Talkback pseudonym, which I’m sure you’ll recognise. For some reason, Amazon refuses to allow me to switch to my real name. Thank you so much, Maggie! I’m glad you enjoyed One Day For Me. Hi Sally, I would love to buy your book about writing but my Kindle app isn’t working properly anymore. Are your books availabale on otehr platforms like Smashwords, or even as a pdf? Thanks! Edith, at the moment they’re not available in any other format. But I do intend to do something about that later in the year (when I get time!). I will announce it on my blog when it happens. Thank you for your interest! Sally’s recent article on ‘tight writing’ that appeared in ‘Freelance Market News’ was immensely helpful to me. Now I would like to buy a copy of ‘A Writer on Writing’ but do not have a Kindle machine. Is the book likely to be produced as a hard copy? Hi Martin, I’m glad you found the FMN article useful. Unfortunately cost means there’s unlikely to be a hardcopy of ‘A Writer on Writing’. I’ll email you to see if we can find a way around it.